Insomniac Games, Inc. is an American independent video game developer with the corporate headquarters located in Burbank, California. Founded in 1994, Insomniac Games has released titles for the PlayStation (console)|PlayStation, PlayStation 2, PlayStation 3, and Xbox 360 video game consoles. As of 2012 the developer had sold a total of thirty-five million units of software on the PlayStation platform. Insomniac Games has also won 13 "Best Workplace" awards at the national, state, and local level. Insomniac Games created Disruptor (video game)|Disruptor, the Spyro (series)|Spyro series, the Ratchet & Clank|Ratchet & Clank series, the Resistance (series)|Resistance series, Outernauts, and Fuse (video game)|Fuse. They released Resistance: Fall of Man in 2006, a first-person shooter (FPS) and PlayStation 3 launch game. In 2007, they released Ratchet & Clank Future: Tools of Destruction, their first Ratchet & Clank title for the PlayStation 3. In 2008, the company released their first title for PlayStation Network, Ratchet & Clank Future: Quest for Booty, and their third PlayStation 3 title, Resistance 2. In 2009, Insomniac Games released their fourth PlayStation 3 title, Ratchet & Clank Future: A Crack in Time. Two years later, in 2011, Insomniac Games released their third and final installment into the Resistance franchise, Resistance 3, their first title to support 3D and PlayStation Move support. Then they released Ratchet & Clank: Full Frontal Assault in November 2012. Their latest release was Fuse (video game)|Fuse in May 2013 on both the PlayStation 3 and the Xbox 360. File:Insomniac Games logo.png|thumb|The original logo for Insomniac Games Insomniac was founded in 1994 as an independent video game developer and is now based in Burbank, California. Its initial game, an first-person shooter|FPS called Disruptor (video game)|Disruptor for the PlayStation, was released on November 20, 1996, and received critical success. Since then, the company has released fifteen more games in Three series (both created by the company) for PlayStation, PlayStation 2, and PlayStation 3 earning both critical and commercial success. After the company produced the first three Spyro (series)|Spyro the Dragon games, Universal Interactive Studios picked up the Spyro series while they moved on to A Girl With A Stick. They abandoned that project to develop the Ratchet & Clank series. Brian Hastings suggested the Ratchet & Clank series. The first Ratchet & Clank was the first western-produced game bundled with PlayStation 2 in Japan, it was the first western video game to make Japan's top 100 list. The company was named one of the top 10 Best Small Companies to work for in America for 3 years in a row for their relaxed environment and flexible hours. In 2003, a few of Insomniac's staff members left to create High Impact Games. In 2006, Insomniac released an M-rated PlayStation 3 first-person shooter, very unlike its other works. Its name during production was I-8, but it was later renamed Resistance: Fall of Man. The game's futuristic weapons show the influence of Ratchet & Clank. At the 2008 Game Developers Conference, they announced the "Nocturnal Initiative". 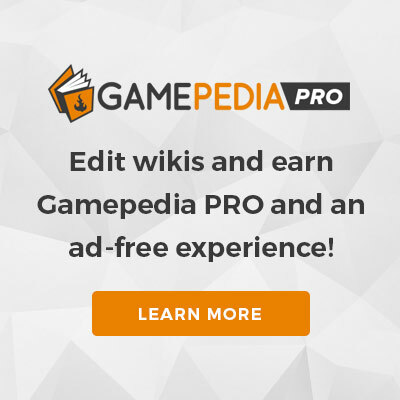 This is a free wiki-based project designed to encourage the distribution of development technologies for use in other games. Shared technologies include some of those used in titles such as Ratchet & Clank Future: Tools of Destruction and Resistance 2. In an interview with GameDaily|GameDaily BIZ in June 2008, Ted Price announced that Insomniac Games planned to open a sister studio in North Carolina. The new studio hired twenty-five to thirty new developers. In Ratchet & Clank: Going Commando, Ratchet & Clank: Up Your Arsenal and Ratchet & Clank Future: A Crack in Time, the player can visit an Easter egg (media)|easter egg known as the "Insomniac Museum". This is located on the planets Dantopia (a reference to the late Dan Johnson) and Burbank (a reference to the company's location). The museum lets players find items, enemies, objects and conceptions that did not make it into the final game version. The museum adopts the actual layout of the company's offices. On May 25, 2010 Insomniac Games announced a new franchise for both the PlayStation 3 and Xbox 360 to be published by Electronic Arts, its first Xbox release. Insomniac stated that it is working on multiple projects exclusively for PlayStation 3. These include Ratchet & Clank: All 4 One and Resistance 3, which were both announced on August 17, 2010 at Gamescom in Cologne. In March 2011, they announced the Insomniac Click division, which is dedicated to mobile gaming and Facebook games. In 2012, Insomniac Games refocused Insomniac Click, and transformed them into a dedicated team, rather than a sub-division. This team is responsible for Outernauts, which is available on Facebook, and as of December 4, 2012, on Kongregate as well. In January 2012, Price announced that Insomniac would no longer make Resistance games. On March 2, 2012, Amazon France listed a "Ratchet & Clank HD Collection" on its website. On March 15, Sony officially confirmed that a Ratchet & Clank Trilogy would be released on June 29 in Europe, and August 28 in North America as the Ratchet & Clank Collection. It was to be distributed by Idol Minds. The HD Collection includes the first three games, each running at 60fps and in 3D. A Crack in Time supports up to eight players. On May 30, 2012, Price announced that a new Ratchet and Clank game was in production named Ratchet & Clank: Full Frontal Assault, known as Q-Force in Europe and Australia. Ratchet & Clank: Full Frontal Assault was developed in North Carolina by the Insomniac North studio. It was released on the PlayStation Network on November 27. It also received a physical Blu-ray release. Both releases (physical and digital) include access to the PS Vita version of Full Frontal Assault upon its release (Spring 2013). Due to multiple delays, the game will also grant access to Ratchet: Deadlocked (known as Ratchet: Gladiator in EU territories). In North America, this will be accessible from the 'Disc Benefits' menu in the XMB. In SCEE territories, users will have to log in and play an online match prior to an undisclosed cut off date. Insomniac North adopted a business model similar to popular F2P titles, offering skins to players as paid DLC, while keeping core content (maps and modes) free of charge. This page was last edited on 9 July 2013, at 21:55.